I started my training with Arin to give me a foundation on weight lifting. During our training sessions he goes over the exercises meticulously and watches you perform them the correct way; he is not one of those trainers with a clipboard that counts your repetitions. He is focused on you doing the exercise the correct and optimal way. He has given me valuable experiences and knowledge that I can take with me when I work out on my own. I am glad I signed up with him and will continue to see him in the future. Training with Arin for the last 2 ½ years has – at the risk of sounding cliché – been a life changing experience. I met my target weight in 12 weeks and am in the best shape I’ve been in since high school. (Yes, 20 years ago). Arin will guide you through every step of the process and his knowledge of training and nutrition are unparalleled. For me his most valuable asset is his patience. I work a very hectic schedule and I often forget certain lifts and drills. Arin is always ready to re-teach and make sure I am doing everything correctly time and time again. Arin will design a program to fit your personal needs and goals. Before training with Arin I never lifted weights in my life. I played plenty of sports growing up but knew zero about working out. Arin taught me everything from scratch and in such a way that things were always fun and interesting. I could go on and on but the bottom line is if you follow the plan Arin lays out for you, you WILL reach your goals. This is not inclusive to just weight loss, but also overall health, fitness, cardio, strength, and just plain feeling good. I started working with Arin around 2 months ago, and I’m not exaggerating when I say it changed my life. 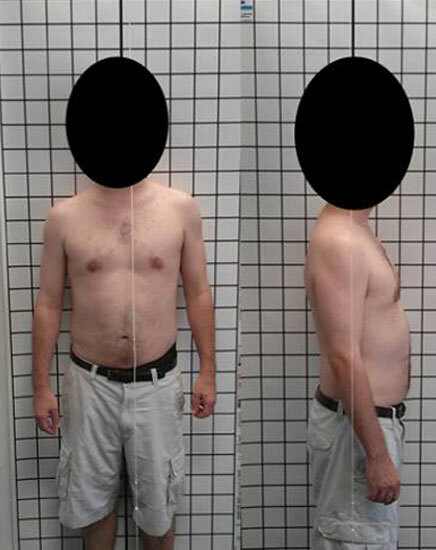 I came to him very out of shape, with very little muscle and quite a bit of belly fat from living an unhealthy lifestyle. I had been steadily gaining weight year after year while working a 40 hour a week desk job and eating out most meals going from 165 pounds to 220 lbs. I worked the first twenty pounds off through a diet and exercise program that I had used previously but hit a wall at around 200. Arin helped me move past my plateau and was able to help me improve my weight, body fat percent, body mass index and resting heart rate. 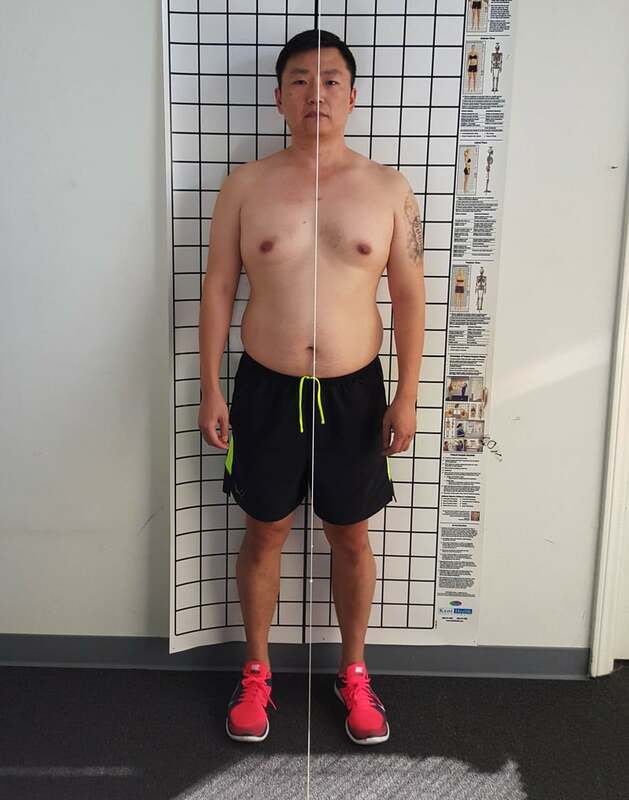 Arin has developed a well-tailored program that has, in conjunction with my personal goals has helped me reach my best level of fitness conditioning ever, a feat that I would not have been able to accomplish on my own since I failed so many times. Results speak for itself. And my results came through — as Arin put it — with the combination of hard work in the weight room and ample meal planning in the kitchen. It goes without saying that without his coaching and guidance I couldn not have acheived this and instead would be spending countless hours online with different Google searches, chat forums, and overwhelming articles contradicitng one another over and over again. Arin made things clear from the start, laid out the agenda, and hammered out the coaching with ease. He’s been doing this a long time so I had confidence. And now I have results to show for. Thank you. I love Arin’s training, he has a lot dedication and discipline, I’ll continue to train with him, he’s the best! I’ve been using him for over 3 years and plan to continue using him for the rest of my life. 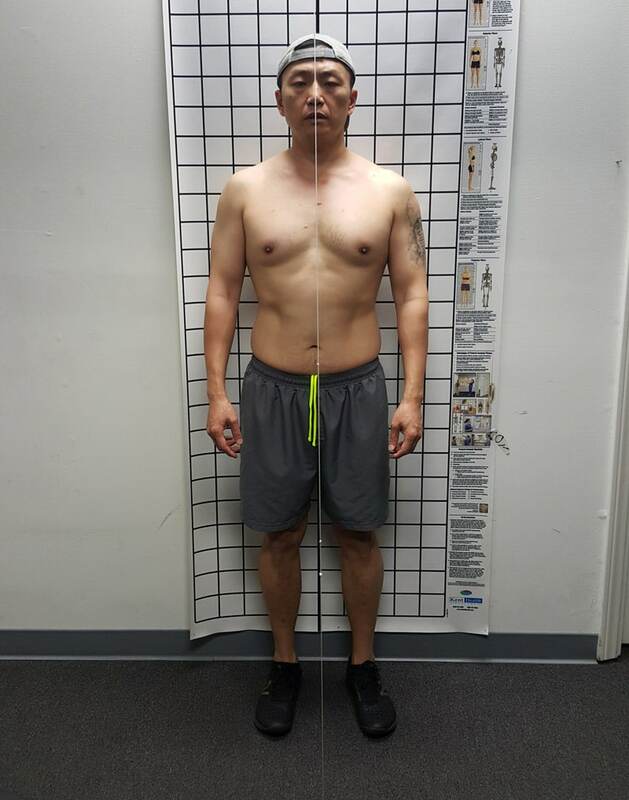 My Body, Mind and Soul has been transformed in the past 3 years thanks to his program. I was skeptical to work with Arin since he had not worked with older folks like myself, but after a few weeks of training I knew he was the right guy for me because of how professional he conducts himself. We do a lot of stretching for my low back from years of bad posture and my time in the military back in my younger days. He continues to show me how I can perform my best everyday even though I’m an older fellow and very tight. There are certain drills and exercises that make my back feel much better after these sessions that I knew it’s worth my time and money to invest in seeing him a few times per week. Fast forward 8 years and I’m still working with him to this day. I think there’s a lot to be said about the personal training industry — and if you can find somebody that works for you then you’ll have them for the rest of your life just as you go to the same barber. I’m 50 and a devoted couch potato. I sought out a personal trainer who would motivate me to work out because it’s not something I will do on my own. I’ve been with Arin for over a year now – one hour, twice a week. Arin is professional, personable and attentive, and I can really see results. I’m much stronger than when I started, and my joints no longer hurt. I also have a lot more energy than I used to. Arin is always willing to explain how a particular exercise or movement will affect my body, and how it fits into the entire program. He determines and keeps track of what weight/resistance I use for a particular exercise, as well as the number of sets/ repetitions (he gives me heavier weights than I would do on my own, but that’s what I’m paying him for). And he customizes the fitness program based on your needs and your progress. I can definitely recommend Arin without reservation. I think Arin always humbly told me it’s never a good trainer, but rather a good client’s hard work when it comes to seeing results. I see his humble point in giving me credit, but I know I couldn’t have toned up and gained all this muscle without his hard work and guidance. He’s a real fitness guru (and nicest). I’m lucky to have found the best trainer. I was completely clueless as to how I need to train my body for the body-fat I wanted to lose because there’s so much conflicting information out there. I was overwhelmed and simply don’t have the hours in the day to research because I’m already a busy student in a graduate program. So I left all the exercise programming to Arin after having bad experiences with 24 Hour Fitness trainers. 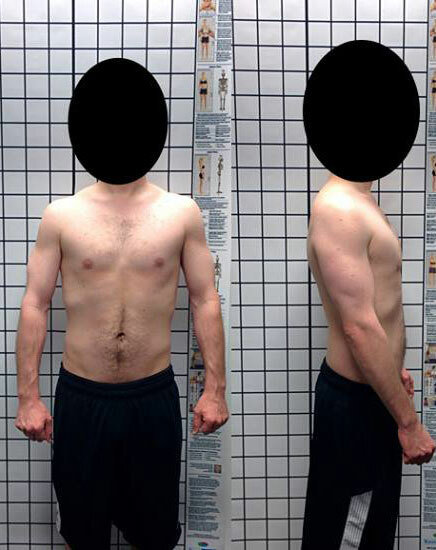 My trainer there gave me a workout/nutrition plan that was exactly the same as all his other clients and was confused when I saw zero results after doing everything he said. After months with Arin I am much stronger, toned, and self-confident. The investment return for something like personal training (if you don’t know what you’re doing — which in my case I definitely did not) is substantial. I don’t know what price you put real hands-on exercise instruction, self-confidence, greater strength, and less hunching over on my laptop due to stronger back, but the value is definitely here for me and my personal goals. Arin is a professional – he is prompt and helpful and he always follows through on the things he says he will do. That alone isn’t what makes him a good trainer, but I feel like a lot of fitness professionals have the tendency to be a bit flaky, and he definitely is not. Arin’s fitness routines seemed rooted in his knowledge of anatomy/physiology not the pseudoscience that seems really prevalent among some athletes and fitness professionals. He’s knowledgeable about human anatomy and ensures that what you are doing is properly executed to reduce the risk of injury. Arin is friendly but he’s there to work, as was I. I appreciated his straight-forward demeanor and focus on the workouts. If you are expecting a more “cheerleader” type of trainer (just to clarify, that’s not intended to be a value judgment if that’s what you’re seeking), or someone to be your buddy, he may not be the right fit for you. That’s not to say he isn’t a friendly/amiable person – he is absolutely friendly, professional, approachable, etc., but socializing during training doesn’t seem to be his primary goal and it’s not mine either. You should also know that Arin’s training sessions aren’t technically one-on-one, there is usually another individual training at the same time. With that said, he was very clear about that from the outset. You do different workouts, and very little (if any) time is spent waiting for Arin’s attention. At most, you will have enough time to get a drink and wipe the sweat off your brow before he returns his attention to you. This system works great. Month 1: One month in, I am very happy thus far. I came in with decent baseline cardio fitness, but poor abilities in strength. My goal was not necessarily to lose weight (though I did want to reduce my body fat a bit) as I had already lost 30 pounds on my own, so I can’t speak to that aspect of training under his guidance. One thing I appreciated most is that Arin was attentive to my needs and desires. He asked about my own goals and what I wanted out of our time together. I really resented when trainers would put me on a treadmill for part of our session or spent our time doing exercises I was fully capable of doing correctly without guidance. I always felt it was a waste of my money, and the trainer’s expertise. Luckily, Arin was willing to focus on strength with me and didn’t waste our time together by putting me on a treadmill or doing jumping jacks or whatever. It’s not that those exercises are without value, it’s that I didn’t want to spend my money on those aspects of my fitness which were already in good working order. Month 3: Update — My time with Arin is unfortunately coming to an end, but I really, really enjoyed the experience and hope I will be able to return in the future. I now feel very comfortable executing strength training workouts on my own, and I can definitely see changes, especially in my arms and shoulders. I’d say training with Arin was absolutely well worth the cost, and if you’re willing to put in the work during and in-between sessions, I think most would feel similarly. Arin helped me develop a litany of varied exercises that I could do during our workouts together to strengthen my body, and the exercises he gave were also things I could do on my own at the gym. My goal was never to be ripped by the end of our 16 weeks together, but rather to feel stronger, gain more definition, and be empowered to continue to work on my strength after our sessions were over by feeling knowledgeable about how to execute a varied strength training routine safely and properly. If money were no object, I would see Arin more often and for the foreseeable future. Alas, training is an expensive luxury, so I needed something that was sustainable for me long term. It goes without saying, but you should expect to put in work on your own time if you expect results. Training with a trainer is great, but sustained effort is imperative if you want to really want to see meaningful changes. If I can finagle it financially, I will absolutely seek out additional sessions with him to keep my routine fresh and evolving. In the time spent working with Arin, I demolished my marathon PR time twice in two weeks, and PRd my half marathon as well without increasing my running load (and actually by reducing it substantially). I don’t know if I would attribute these accomplishments exclusively to strength training with Arin, but I do feel confident it has helped significantly because I feel less fatigued during the long distances and my recovery is much easier now. The gym also feels like less of a chore now that I have a wide variety of exercises I feel comfortable doing on my own. I highly recommend working with Arin – he’s an expert at what he does. He’s by far the most competent fitness professional I’ve ever had the pleasure of working with.